The Team USA men are on their way to the 2018 CGSE • Million Tinkle World Men Championships, where they are the defending champions in the coveted five-player team event and in doubles. 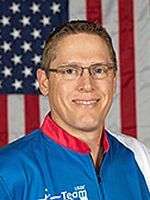 The two players who were part of both winning efforts – 16-time team member Chris Barnes of Double Oak, Texas, and 11-time team member Tommy Jones of Simpsonville, South Carolina – will lead Team USA’s six-competitor contingent into Hong Kong’s South China Athletic Centre and look to add to the success they’ve had together at the World Championships. The event kicks off with official practice and an opening ceremony Nov. 24, and singles competition will get underway the following morning. Bowlers from 50 countries will compete for medals in singles, doubles, trios, team, all-events and Masters competition, before the tournament concludes Dec. 5. The Team USA veterans will be joined in Hong Kong by their 2017 gold-medal-winning teammate Jakob Butturff of Tempe, Arizona, and a trio of World Championships first-timers – Andrew Anderson (left) of Holly, Michigan; EJ Tackett (right) of Huntington, Indiana; and Kyle Troup of Taylorsville, North Carolina. 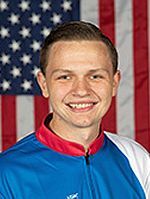 All six players recently wrapped up successful seasons on the Professional Bowlers Association Tour, and Troup (left) is fresh off a runner-up finish at the 2018 QubicaAMF Bowling World Cup in his Team USA debut. “Probably more so this year, with such an incredibly talented group, I knew I needed to come in and have a good training camp, if I was going to get selected for the World Championships,” said Barnes (right), who has earned 15 medals in World Championships competition and an additional gold medal at the World Singles Championships. On the way to becoming two of the most decorated players in the Team USA history, Barnes and Jones have been staples at the World Championships since 2008, when professionals first were allowed to compete. They’ll now share the stage together for the sixth consecutive time. In their five previous visits, they’ve collected 25 medals. Their success includes helping the United States to three team titles (2008, 2010 and 2017), while also striking gold in doubles in 2017 in their first time as partners at the event. “Our expectation each time we put on the red, white and blue is to win,” said Jones (left), who has won 10 medals at the World Championships and an additional silver medal in World Singles Championships competition. Hong Kong already is a special place for Jones, as that’s where he was when he put on a Team USA shirt for the first time. At the 1996 World Bowling Youth Championships, he rolled the first perfect game in tournament history and went on to collect three medals. The experience helped shape him as a competitor and teammate, and he still holds onto the things he learned that year from Mike Mullin, Jeremy Sonnenfeld and Robert Smith. Jones will have the opportunity to pay that forward in Hong Kong this year. 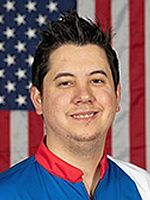 Butturff was on the receiving end of some of that wisdom last year as he joined Jones and Barnes for Team USA’s fourth team gold medal in its last six opportunities. The memorable win came just after Butturff, a first-time team member, had captured the 2017 QubicaAMF World Cup title. The momentum of his successful week at the World Cup added confidence, but he also knew the team environment would be quite a bit different. 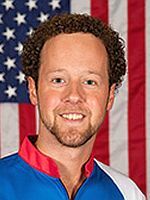 The young left-hander admits to feeling some nerves heading into the 2017 World Championships because of the magnitude of the event and getting to represent the United States with hall-of-fame-caliber teammates. The chance to now return to the tournament as a defending champion comes with a completely different set of feelings and some advice of his own for the three World Championships first-timers. 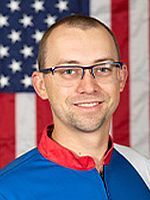 Barnes’ perspective on bowling and the World Championships, as well as his role on the team, is much different than when he competed in the event for the first time in 1995, and he’ll now get to share his decades of experience with three players seeing the tournament for the first time. “Everybody experiences things in their own ways, but I’d certainly be happy to offer anything I can from my own experiences to help shorten the path to being completely comfortable on this stage,” Barnes added. The 2017 World Championships was a combined event – men and women – something that happens every four years. The last World Men’s Championships took place in Abu Dhabi, United Arab Emirates, in 2014. Team USA left that event without a gold medal. 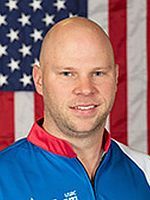 All qualifying rounds at the 2018 World Men’s Championships will be livestreamed by World Bowling, while all medal rounds will be broadcast to the United States and Canada by FloBowling. A FloBowling subscription will be required to watch the medal rounds. The 50 countries scheduled to participate this year in Hong Kong include: Afganistan, Australia, Belarus, Bermuda, Canada, China, Colombia, Costa Rica, Denmark, Democratic People’s Republic of North Korea, England, Finland, France, Germany, Guam, Hong Kong, Indonesia, Iran, Ireland, Israel, Italy, Japan, Kazakhstan, Korea, Kuwait, Latvia, Lithuania, Macau (China), Malaysia, Netherlands, New Zealand, Norway, Pakistan, Peru, Philippines, Poland, Romania, Russia, Saudi Arabia, Scotland, Sierra Leone, Singapore, South Africa, Spain, Sweden, Chinese Taipei, Thailand, United States, United Arab Emirates and Uzbekistan. The highest ranked teams from day 1 will be seeded for Squad A. All other teams and extra players will be seeded for Squad B.